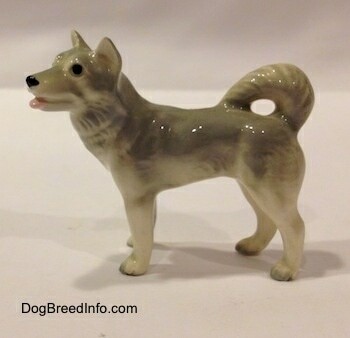 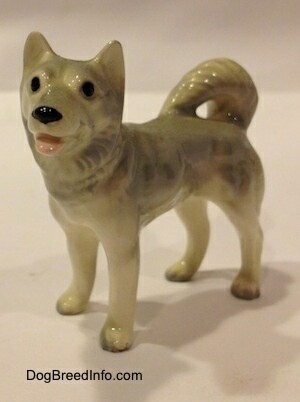 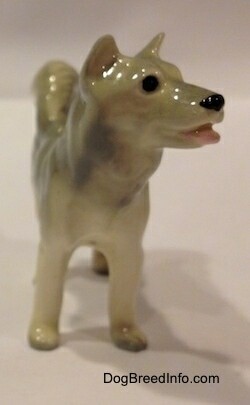 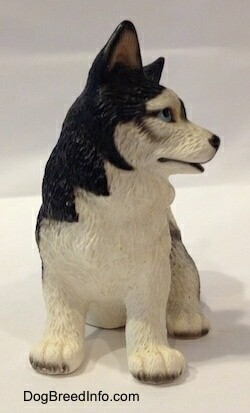 This is a Goebel Siberian Husky dog dated 1983. 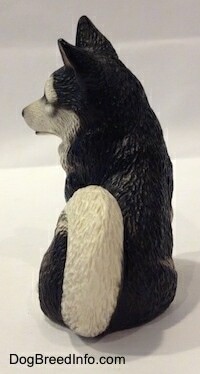 It is of a black and white dog in a sitting pose with bright blue eyes. 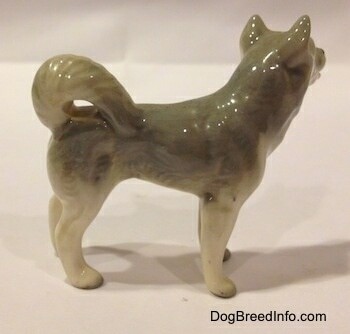 When you hold this figurine it feels lighter than the older Goebel pieces and at first I thought it may not be made out of porcelain, but tapping on the bottom confirmed it was indeed. 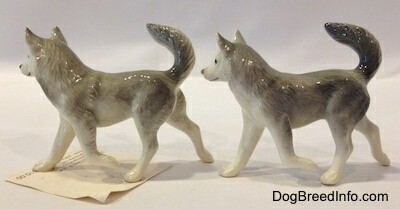 It is a very detailed life-like dog measuring 4 inches from the ground to the tip of the ear, 3 1/2 inches wide from the front paws to the base of the tail and 2 inches wide across the back from hip to hip. 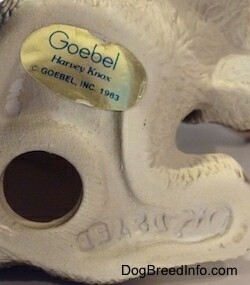 On the bottom is an engraving that reads D275B and a gold and blue sticker that reads Goebel, Harvey Knox, (C) Goebel Inc. 1983. 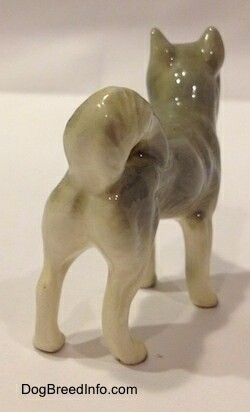 This figurine was made in Germany. 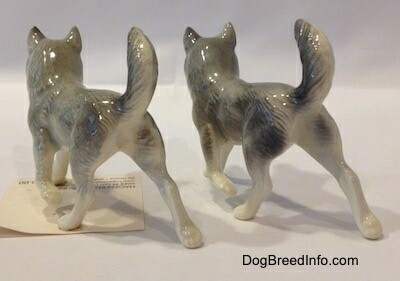 Goebel Siberian Husky dog dated 1983—image showing the engraving that reads D275B and a gold and blue sticker that reads Goebel, Harvey Knox, (C) Goebel Inc. 1983. 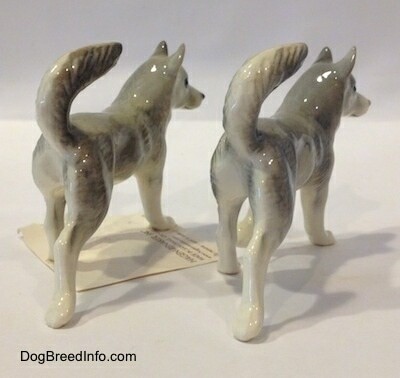 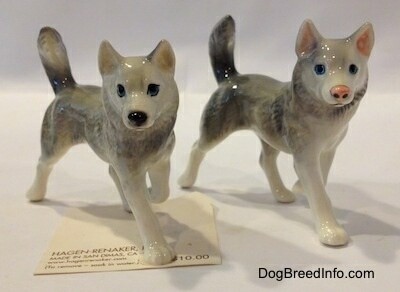 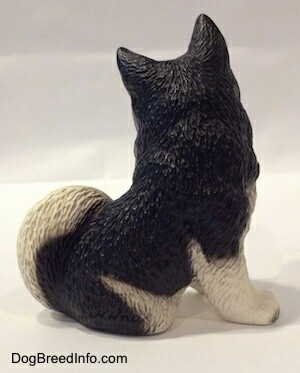 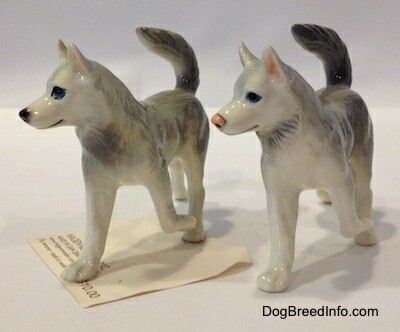 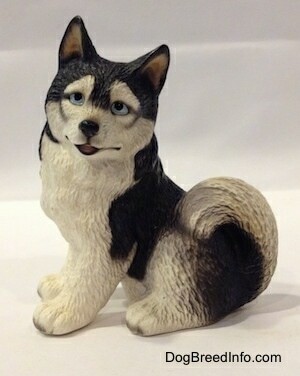 Retired Hagen-Renaker Husky dog designed by Maureen Love—this figurine was in production from 1988 to 1999. 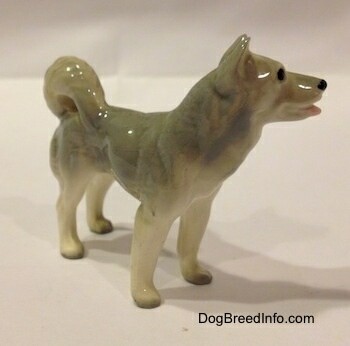 It is 2 inches tall from the ground to the top of the head, 2 1/2 inches long from the snoot to the back of the tail and 3/4 inches wide. 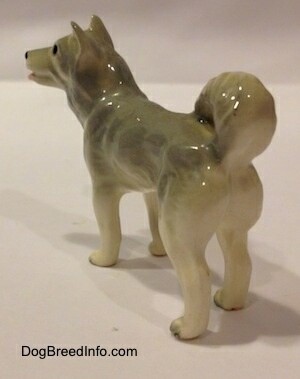 It was made in the USA.